Sir Philip Green’s new super yacht, ‘Lionheart’ gets a cleaning in Valletta Harbour today.’The Lion cub” speedboat can be seen next to its bigger brother. M/Y LIONHEART is part of our list of the Largest yachts in the World, its not offered for sale or charter. The 295.28ft Custom motor yacht motor yacht ‘Lionheart’ was built by Benetti in Italy at their Livorno shipyard , she was delivered to her owner summer 2016. Previously named FB 262, her luxurious interior was designed by Green & Mingarelli Design. 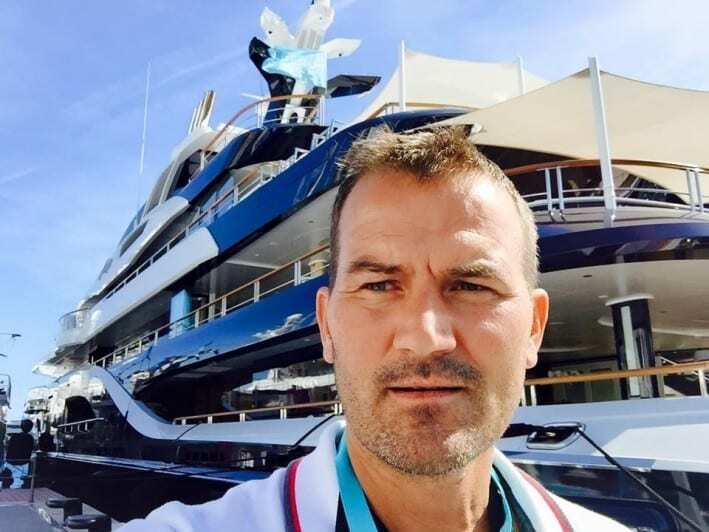 Pietro Mingarelli is the business partner of Tina Green in her Monaco-based yacht and private jet interior design company, Green and Mingarelli, which they set up in 2012. Lionheart features a displacement steel hull and aluminium superstructure, with teak decks. She was built to Lloyds Register classification society rules. The interior of Lionheart, by the studio Green & Mingarelli Design, contains an elevator connecting the four decks. Construction on the yacht had started back in January 2012, the shipyard later confirmed it started building a 90m yacht for a repeat client in February 2012.Launched in February, 90m Lionheart was built for British business tycoon, Philip Green, who took delivery of a 63m Benetti yacht by the same name in 2006, now known as Lioness V.
Lionheart overtakes the 86m Kingdom 5KR, launched in 1980, as Benetti’s new flagship. Though the project has been shrouded in secrecy, it is known that Stefano Natucci collaborated with the Italian shipyard on the exterior design and Green & Mingarelli Design is responsible for the interior design. There are six cabins on board the four-storey, 295-foot-long yacht. Lionheart has a staggering 40 crew members, all dressed in cream uniforms.Beauty salon with personal hairdresser, a masseur and a personal trainer onboard. There’s a swimming pool, hot tub and helipad – as well as a mini boat to ferry visitors in and out. Although Lionheart remains Benetti’s flagship for now, the shipyard is expected to deliver a 107-meter yacht in 2019 which is currently known as FB277. The 90 meter luxury yacht Lionheart was built by Benetti Yachts and will be delivered to her owner Philip Green in 2016. She has a length of 90 meter (or 295 ft). The yacht is built of steel with an aluminum superstructure, and has a cruise speed of 15 knots. The value of the yacht is estimated at US$ 150 million. The new Lionheart, known as project FB 262, is the largest yacht built by Benetti, since Nabila which was later known as Trump Princess and owned by Donald Trump. Green also owns a Mangusta 108, named Lionchase. The Mangusta is a fast sports yacht, which can reach a top speed of 37 knots. The Mangusta 108 has a list price of approx US$ 12 million.